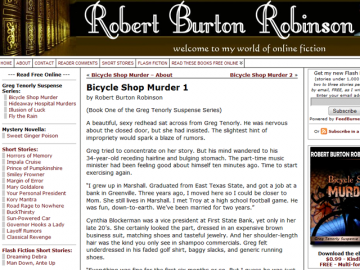 "Book One of the Greg Tenorly Mystery Series"
Bicycle Shop Murder by Robert Burton Robinson is a mystery novel updated completed. Bicycle Shop Murder has not been reviewed yet. Bicycle Shop Murder has not been recommended yet.